Happy Friday! I hope that you all are having a good day and have some fun things planned for the weekend. I’m going to a Haunted House tonight and then tomorrow have a family party. So in honor of going to my first Haunted House of the year, I figured I’d better be wearing a new Halloween Polish! 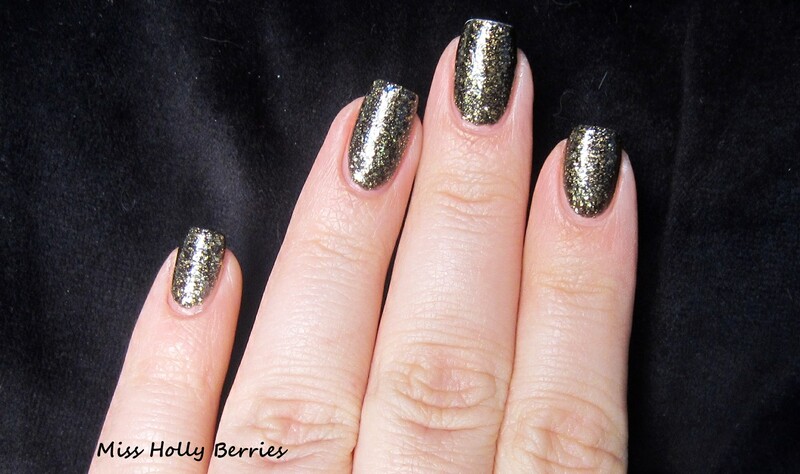 Here is another polish from the China Glaze Monster’s Ball collection. 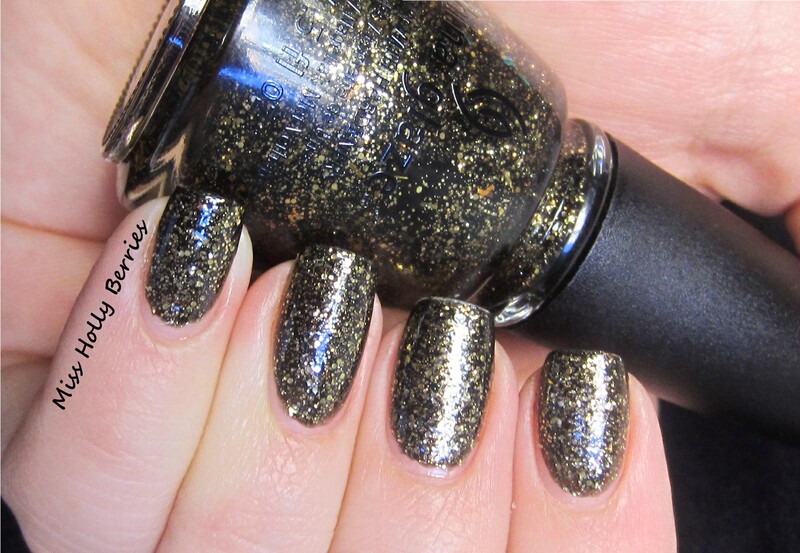 China Glaze “Bat My Eyes” is a tarnished gold glitter in a murky brown jelly base with orange sporadic bar glitters. I didn’t even realize there were orange bar glitters until I applied the polish, but really only got 1 or 2 on my nails. By the time I did my second coat of polish, they were almost all covered up. I absolutely love the color! I wasn’t going to get this one because I thought it would be really close to other polishes in my collection, like China Glaze “Its Alive,” which is an olive green, and Wet ‘n Wild “Cougar Attack,” which is more of a copper. But this is totally unique from any other color that I own! 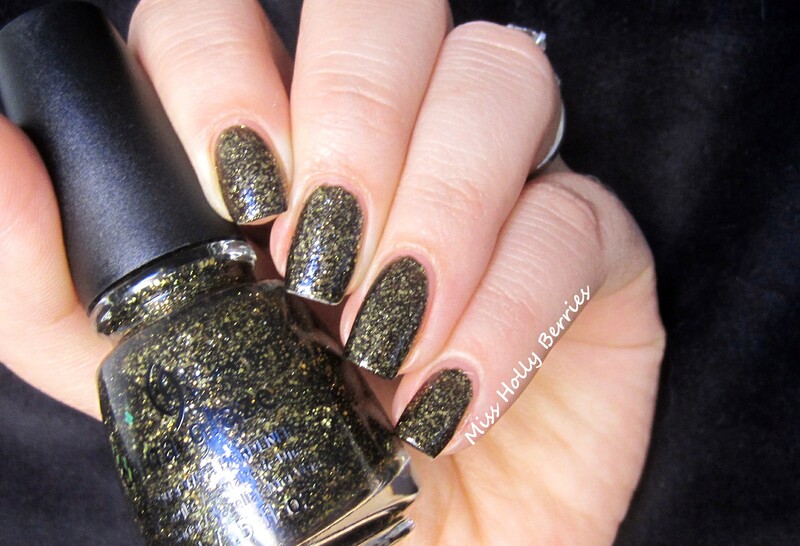 Its dark and glittery at the same time! The formula was amazing. This is 2 coats and its completely opaque. The glitter is really dense, but not so dense that its hard to apply. The dry time was excellent as well. The only thing that that was little off-putting was that it dried really bumpy and not as shiny as I would have liked. This is with 2 coats of top coat to get it to sparkle like glitter should! What do you guys think? Did you end up getting any of the China Glaze Halloween colors this year? thanks!! i’m also wearing your candy corn nail polish too!! I would’ve picked up the entire collection if China Glaze would be available here!